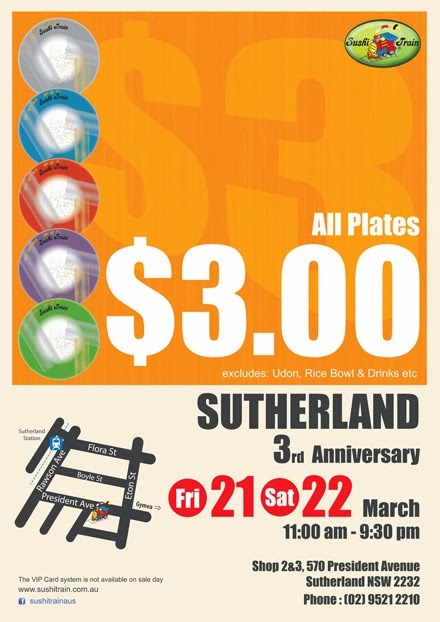 Udon, Platters are not available on sale day. 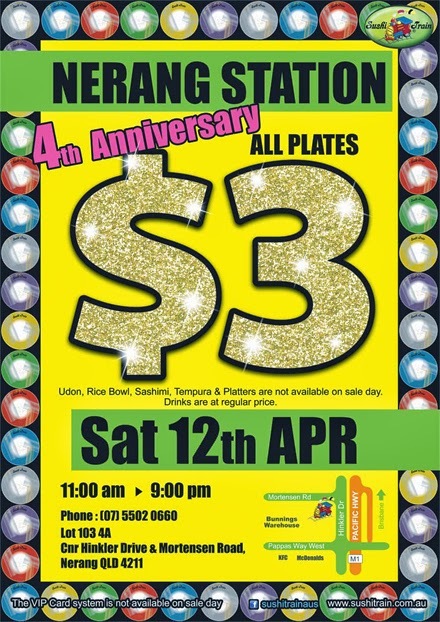 Sushi Train Nerang Station 4th Anniversary $3 Sale!! *Campaign available only for 12 years and under. Please collect a colouring paper at the cashier when you pay. After completion of colouring in, please return the drawing to our staff. 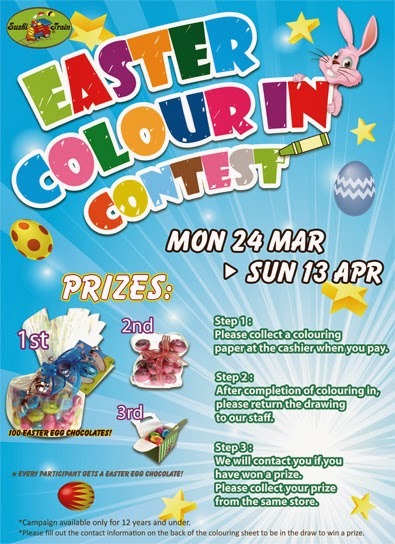 We will contact you if you have won a prize. Please collect your prize from the same store. 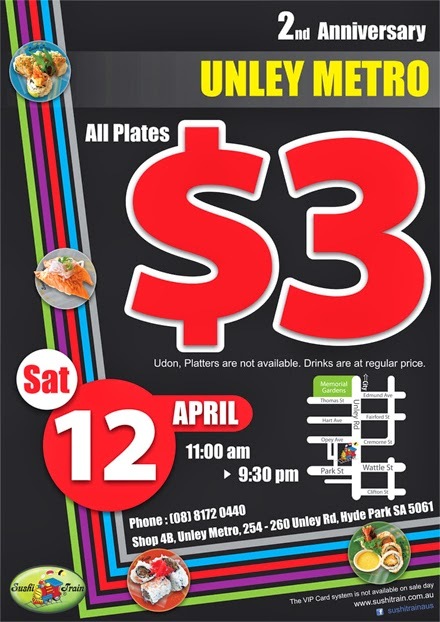 excludes Udon,Rice Bowl and Drinks.